Robert De Niro is to launch a new socially conscious film festival in Doha, Qatar. The 65-year-old actor established the non-profit Tribeca Film Institute in the wake of September 11th to educate, entertain, and inspire filmmakers and film lovers alike. The Institute creates innovative programs that draw on the power of film to promote understanding, tolerance and global awareness. Tribeca holds an annual film festival to spur the economic and cultural revitalization of lower Manhattan through a celebration of film, music and culture. 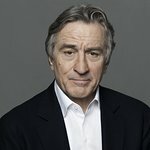 De Niro has just agreed to launch a similar event in Qatar in November next year, which he hopes will help build understanding between Arabs and the rest of the international community. “The Tribeca Film Festival Doha is destined to become a major annual event in world cinema,” added Abdullah al-Najjar, the head of the Qatar Museums Authority. The festival aims to be an outlet for movies made by Middle Eastern filmmakers that show real Arab culture, not just extremism.